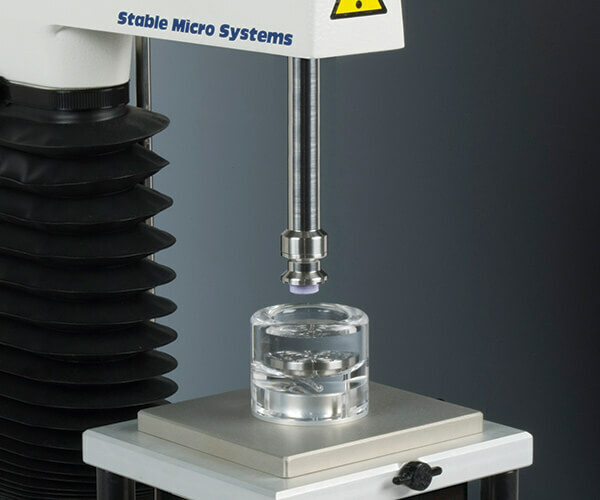 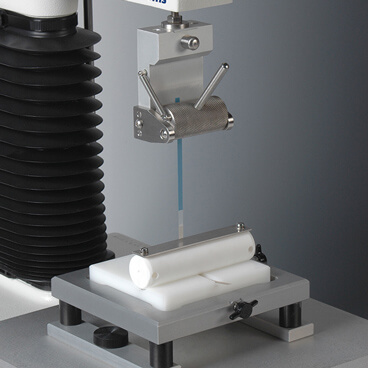 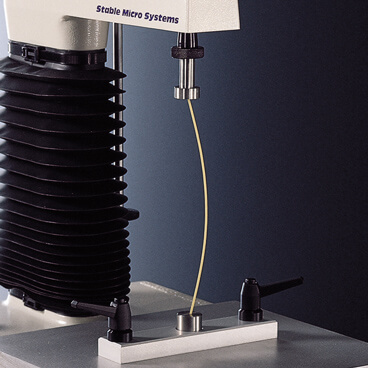 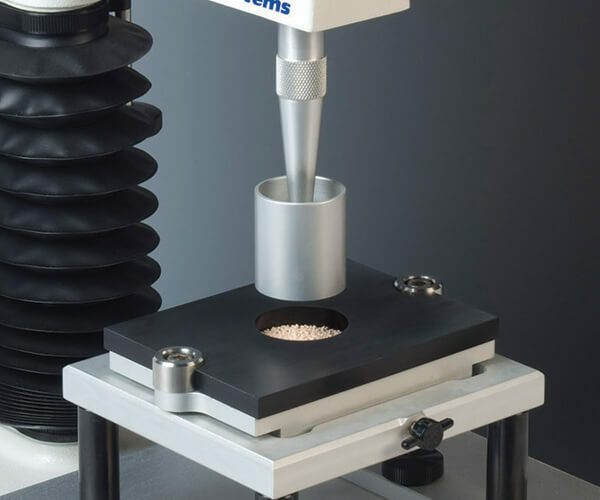 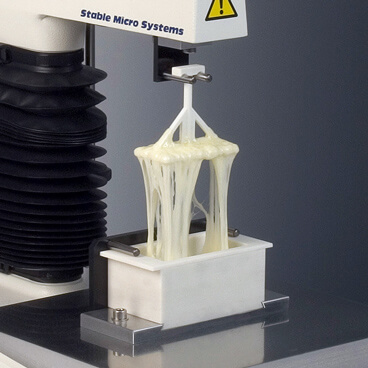 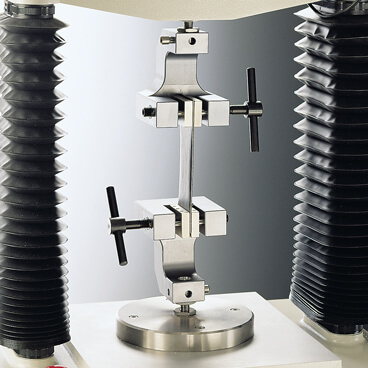 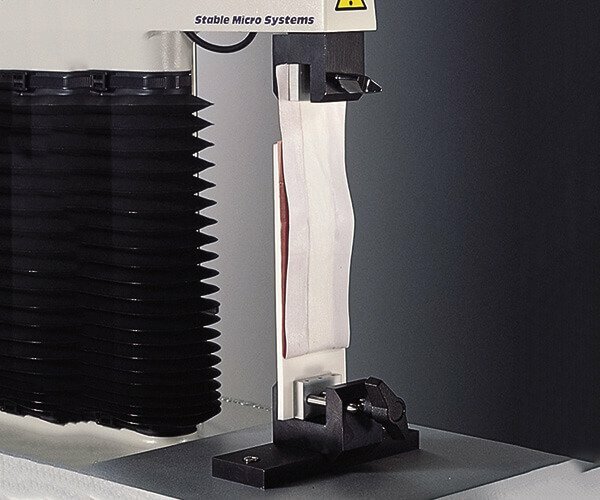 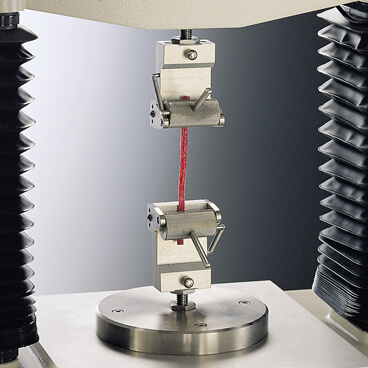 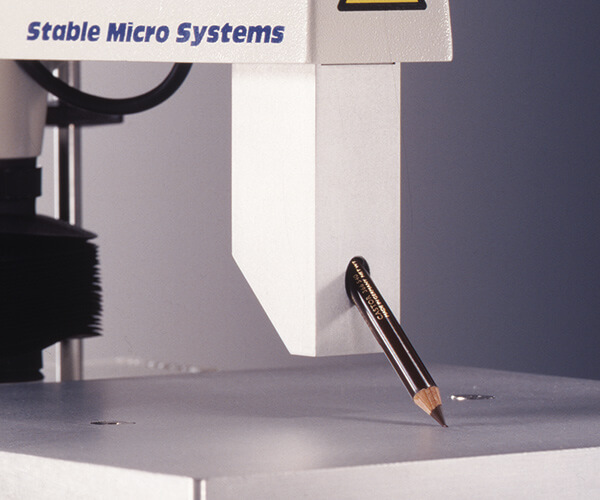 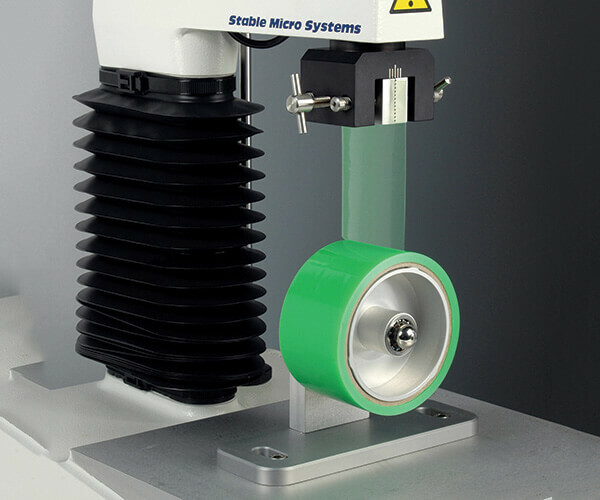 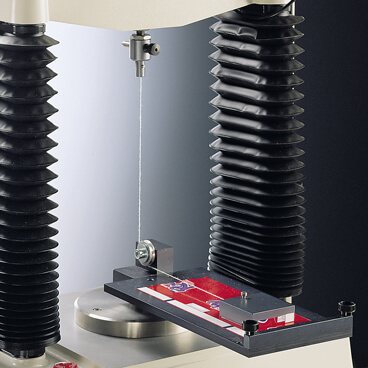 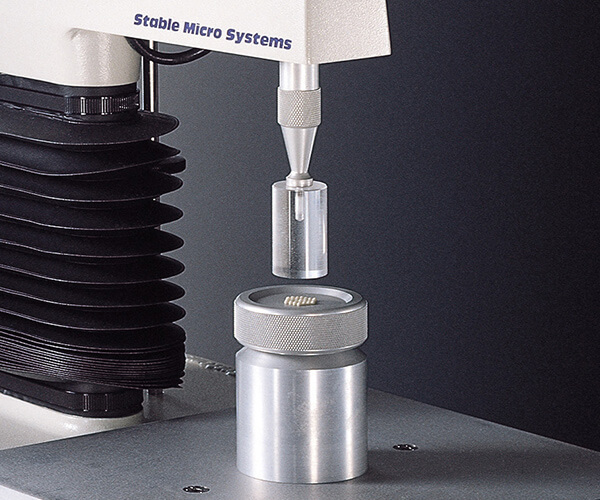 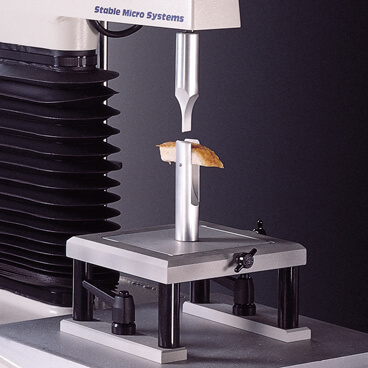 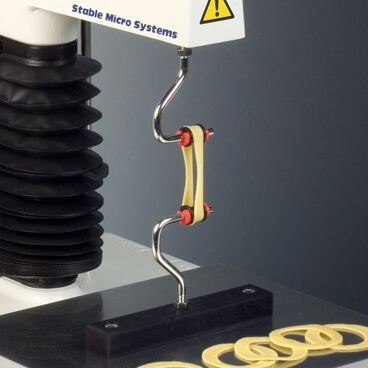 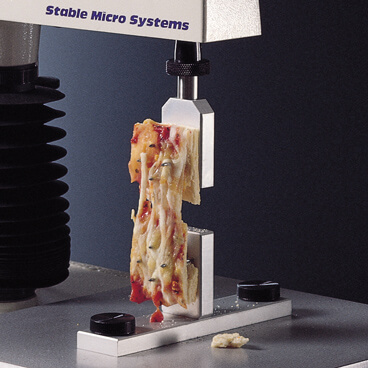 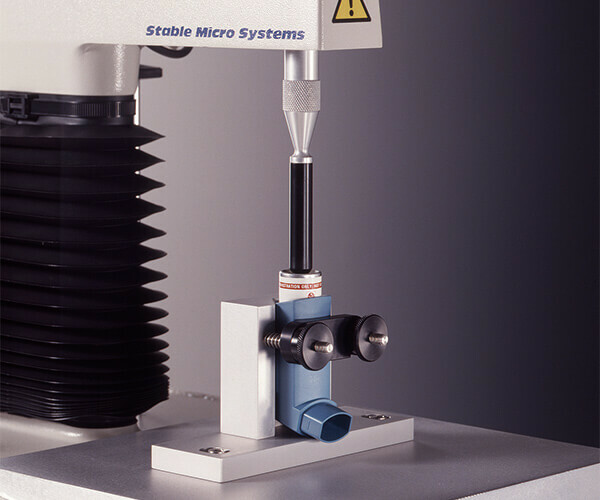 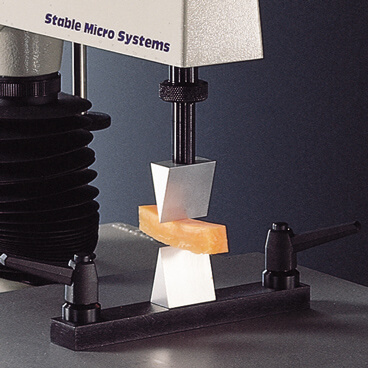 Our wide range of probes and attachments covers all types of testing including cutting/shearing, fracture/bending, extrusion, tension, multiple penetration and bulk compression. 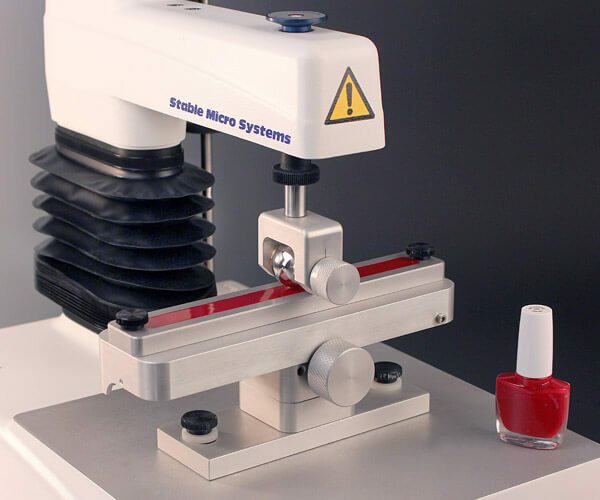 Other rigs and Accessories are available to accommodate many specialist needs, or can be designed and manufactured to a specific customer brief. 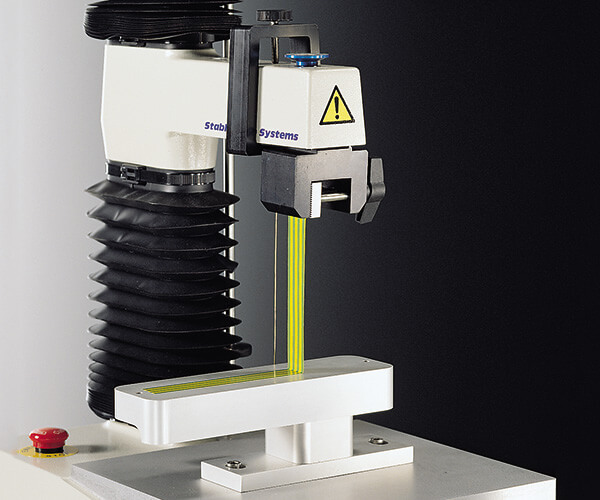 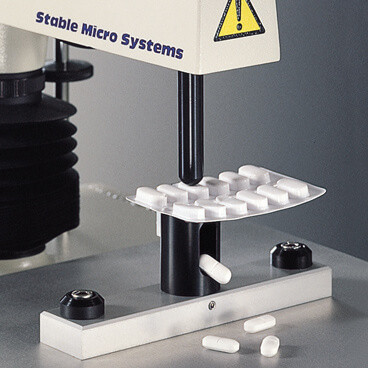 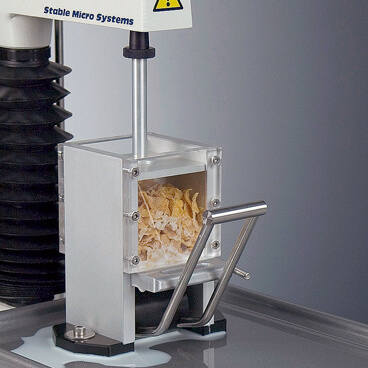 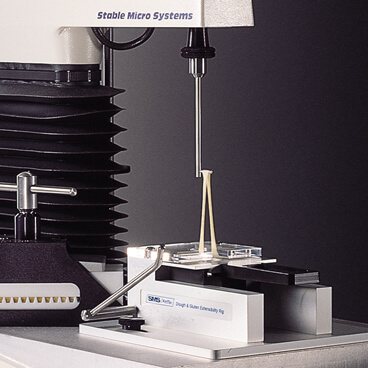 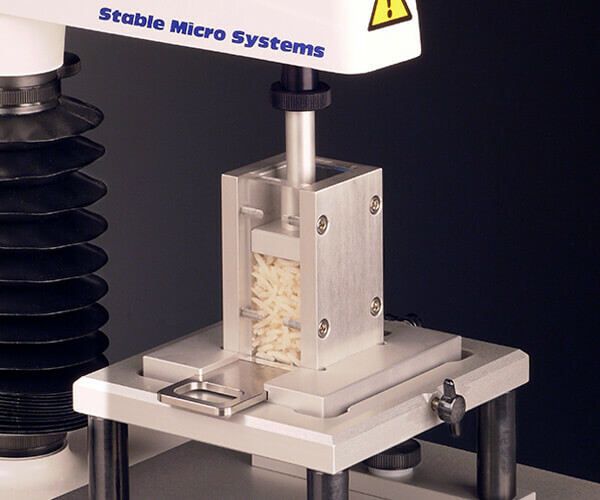 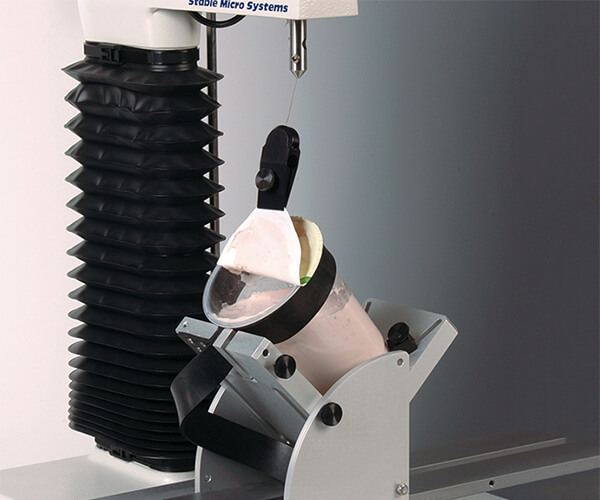 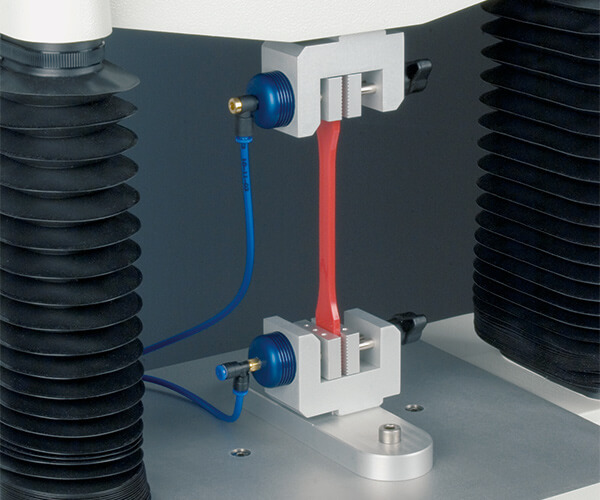 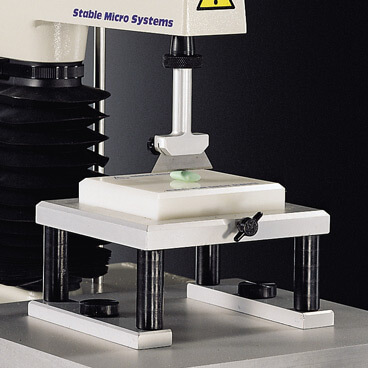 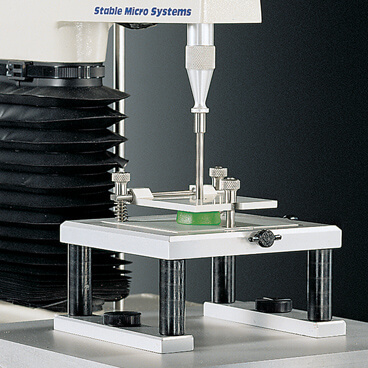 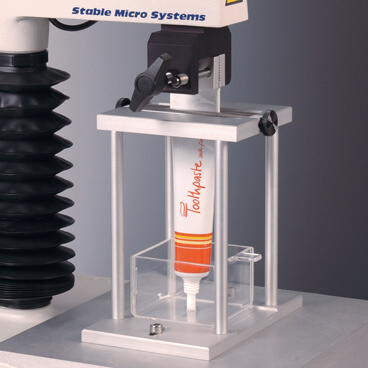 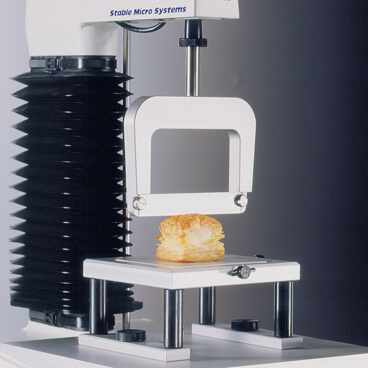 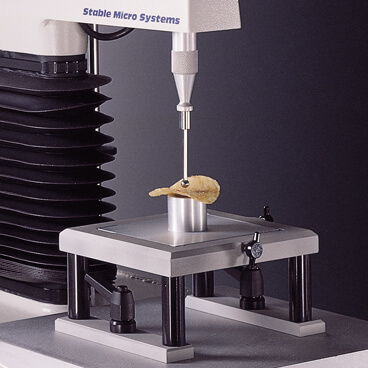 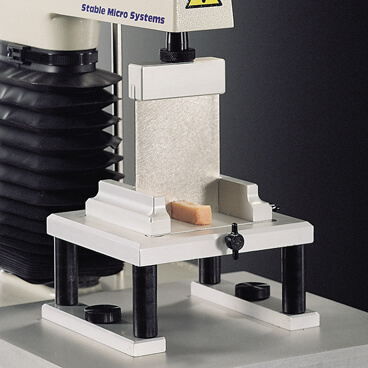 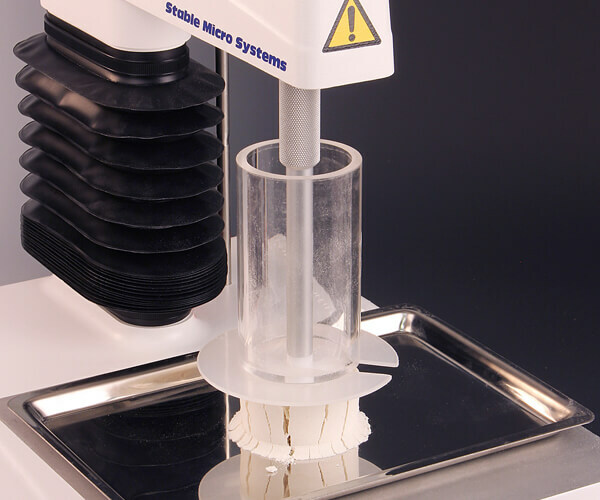 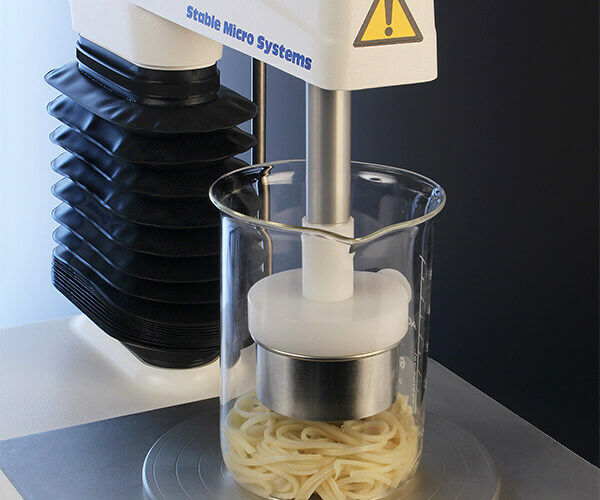 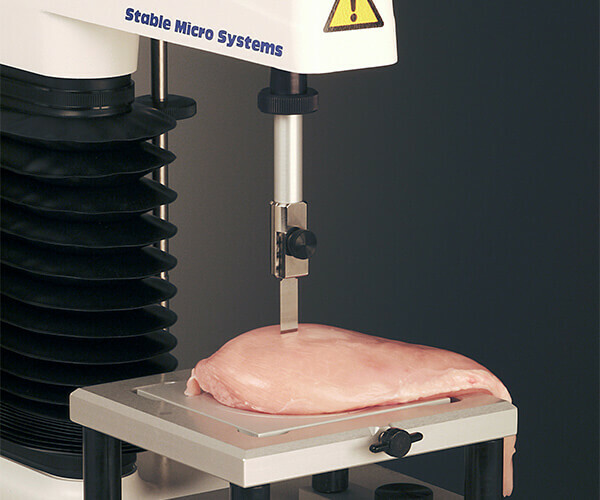 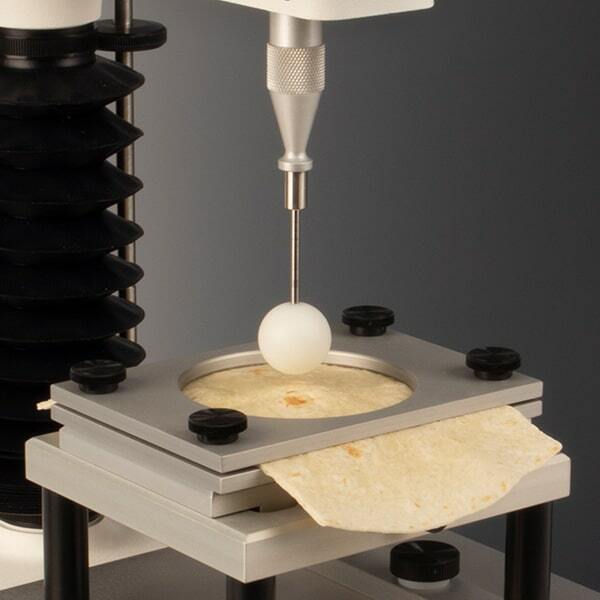 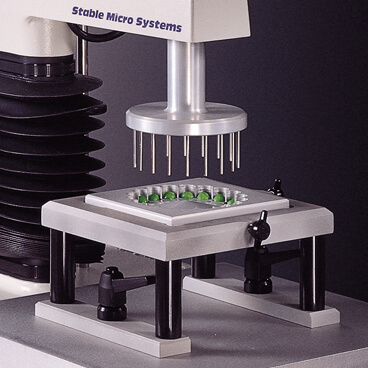 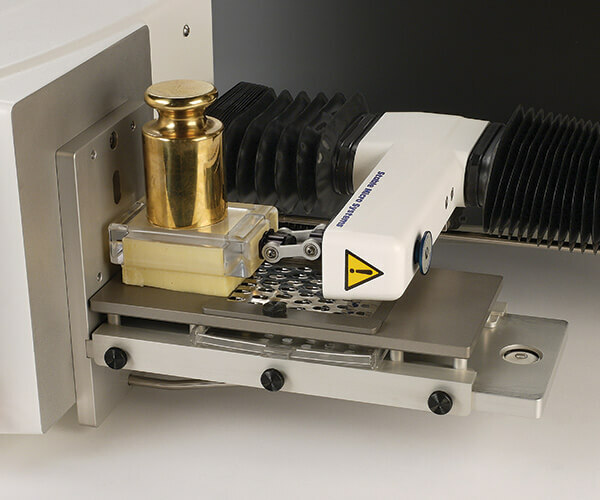 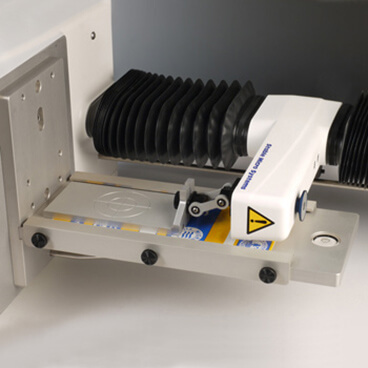 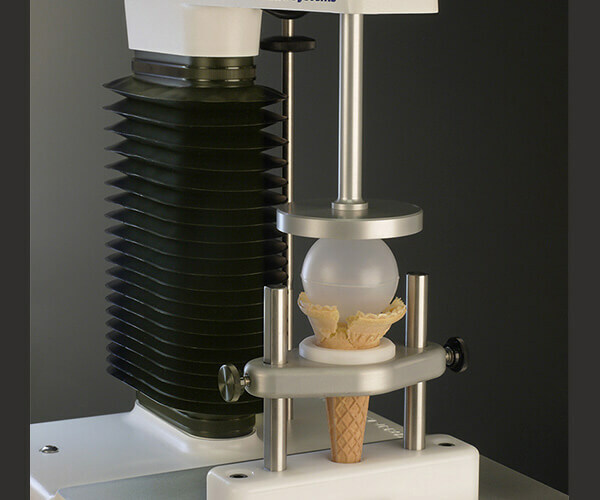 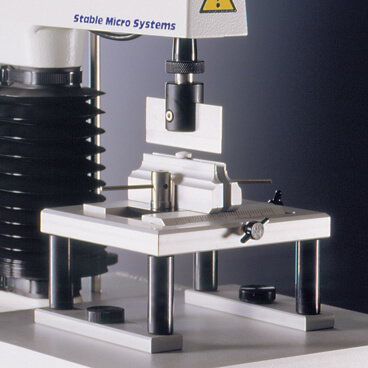 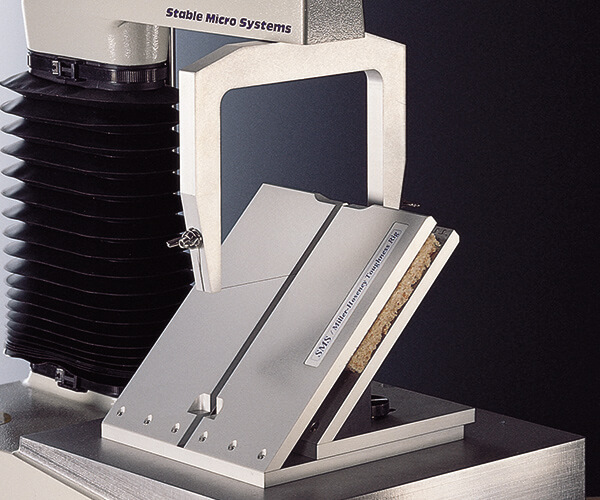 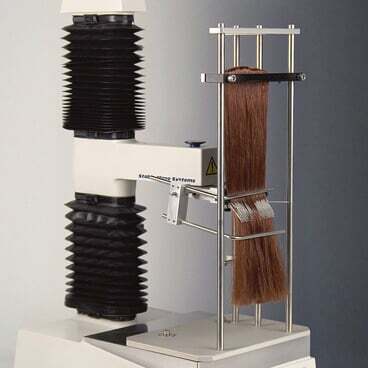 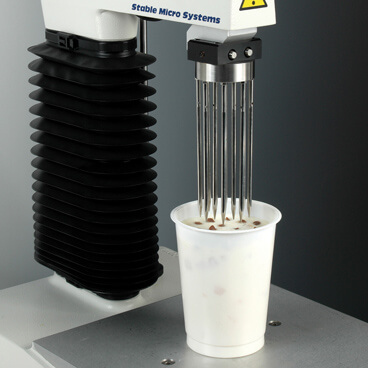 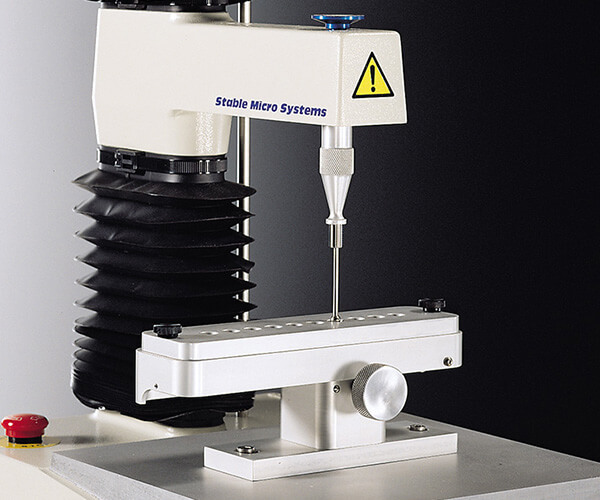 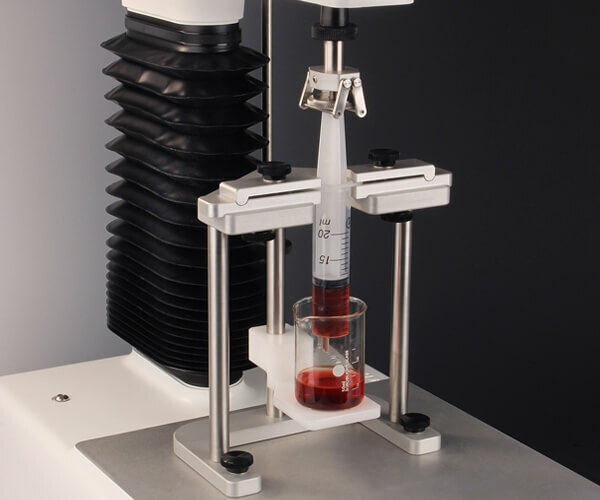 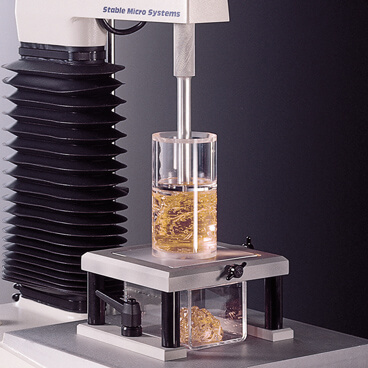 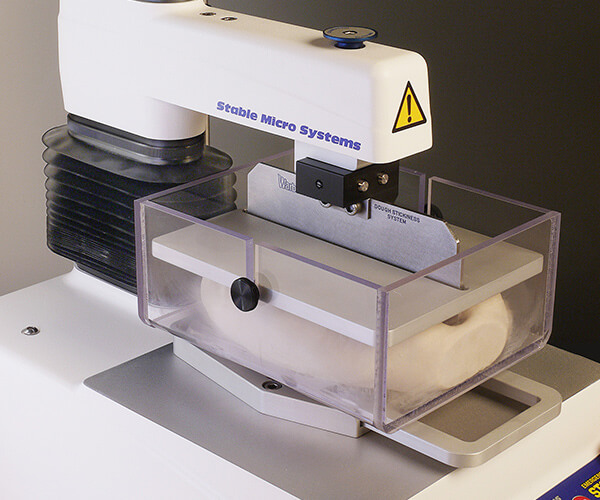 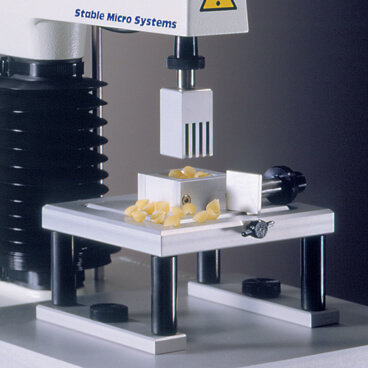 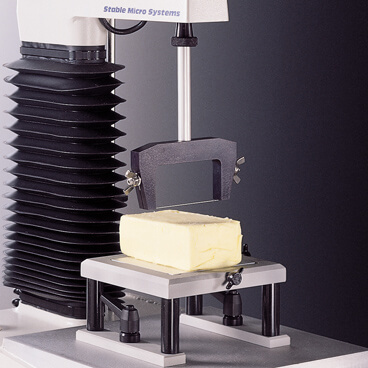 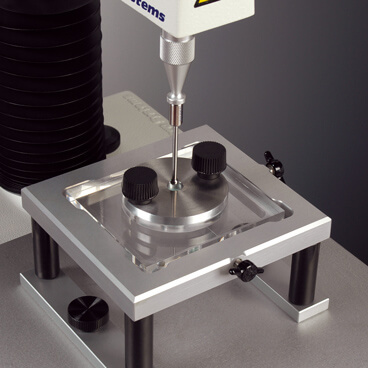 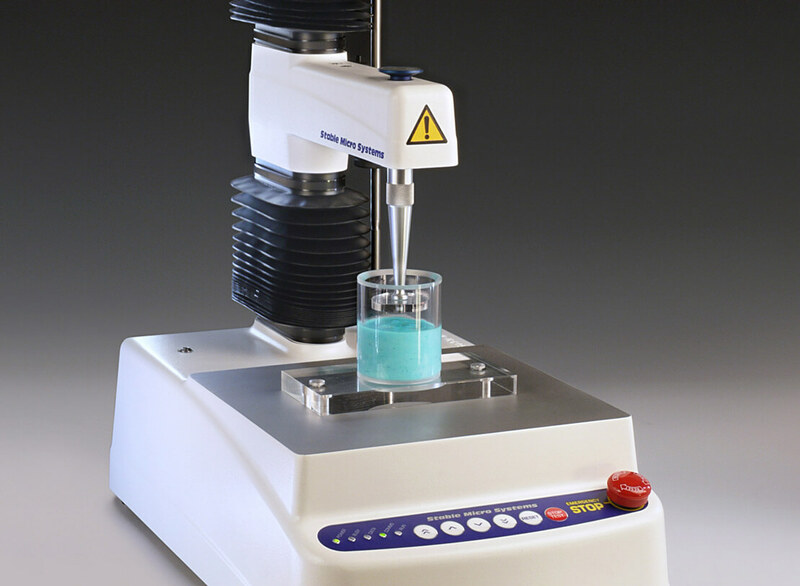 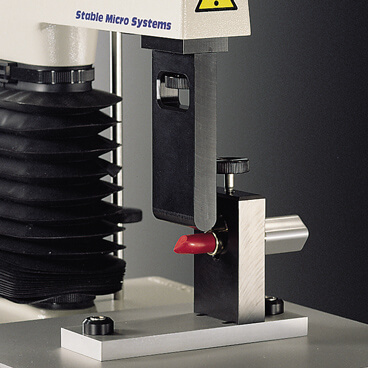 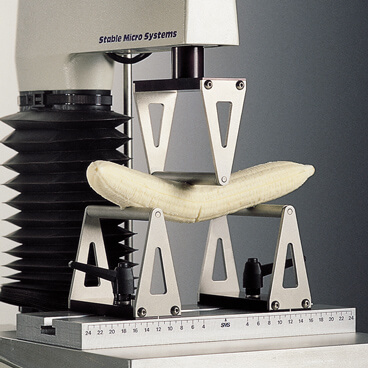 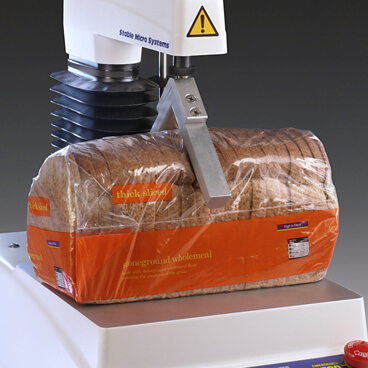 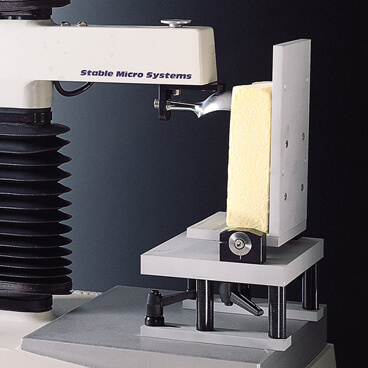 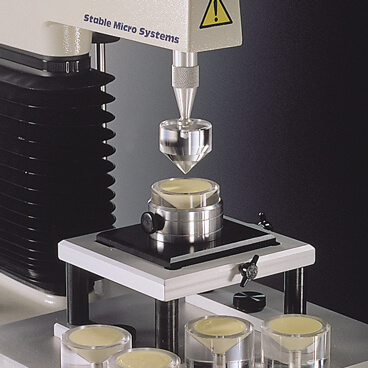 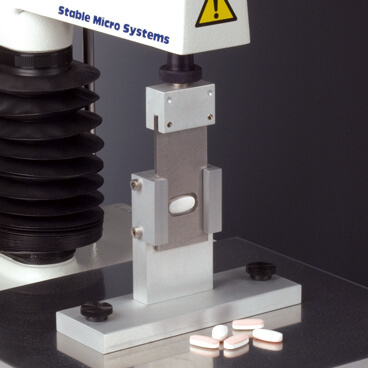 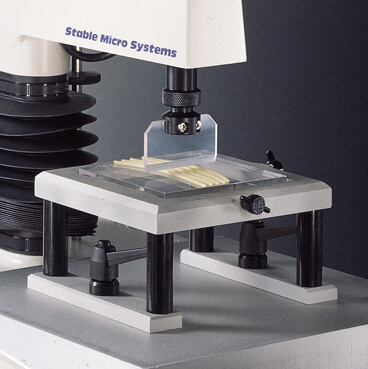 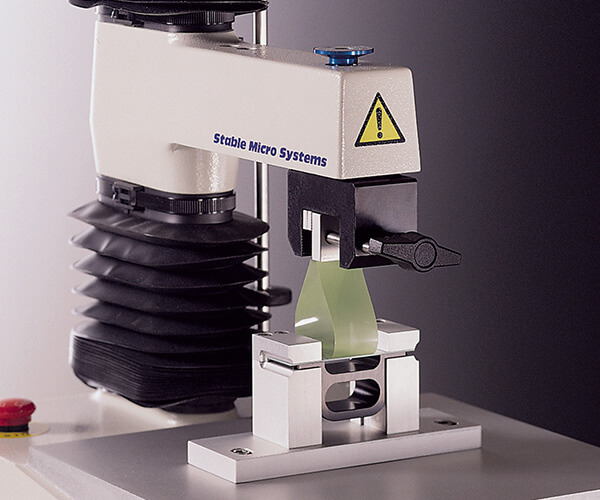 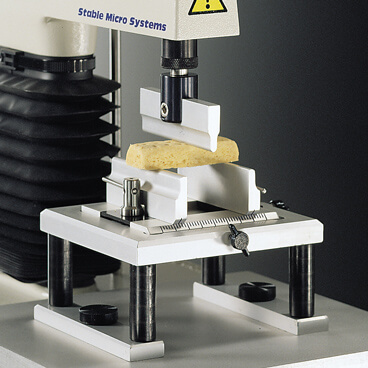 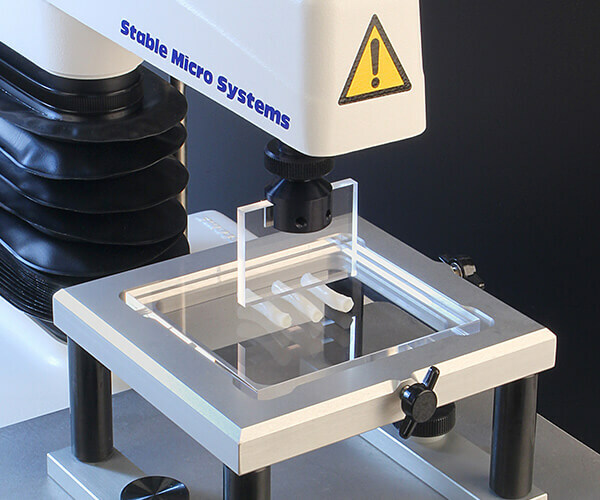 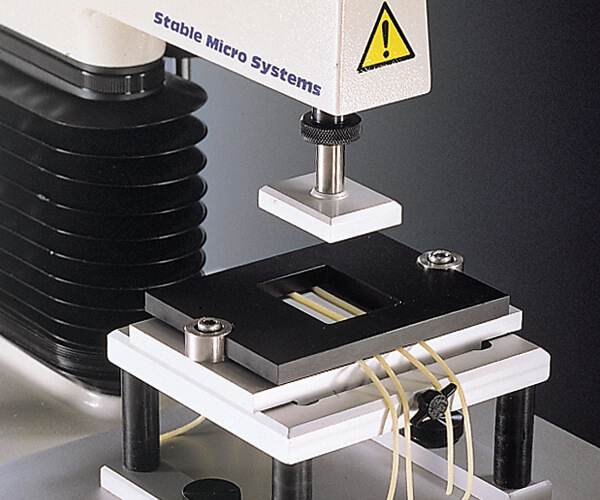 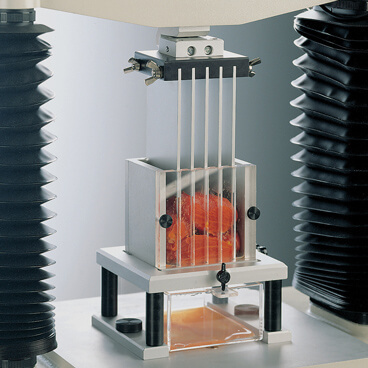 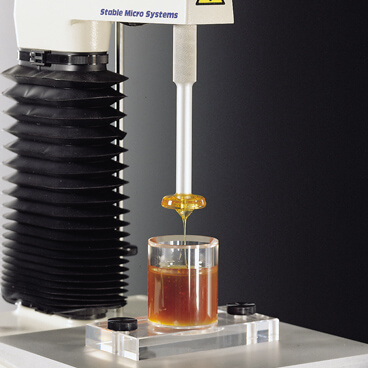 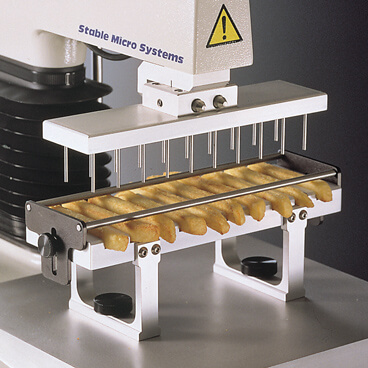 All probes and fixtures fit within the texture analyser's sample testing area. 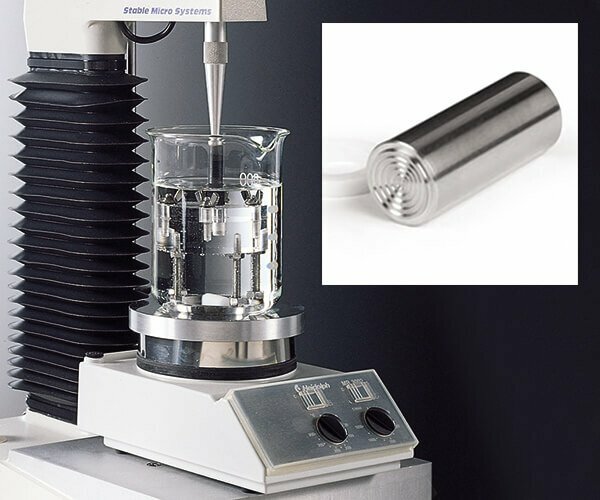 Examples are in everyday operation worldwide, testing all types of products, materials and properties in both research and quality laboratories, and also integrated into production lines. 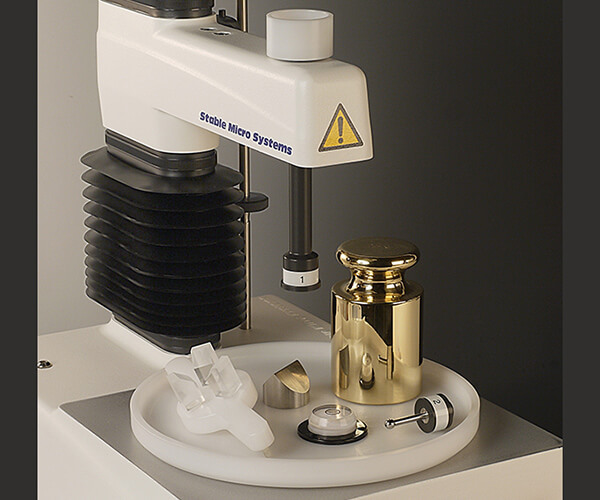 Every accessory is detailed on our in-house CAD system and manufactured on one of five CNC machines at our machining facility. 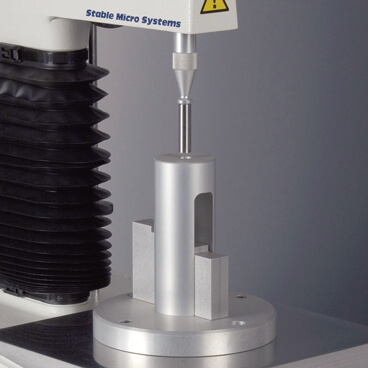 Only the finest quality materials and the best quality finishes are used in the manufacture of our probes and attachments; food quality or better Stainless Steels (polished and mirror finish), aerospace quality aluminium alloys (micro finished and hard anodised) and ICI or GE engineering plastics. 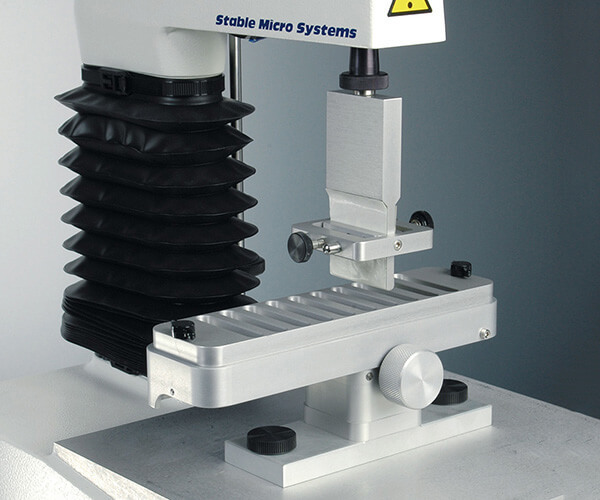 Above all, we listen to you, the user, and constantly work to improve our products to suit your requirements. 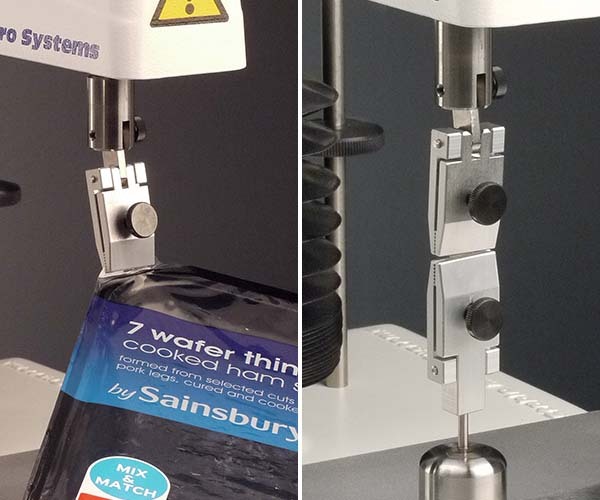 We are always enthusiastic to hear from users with suggestions on how we could improve or extend our range of accessories, and are happy to quote for 'one-off' special designs. 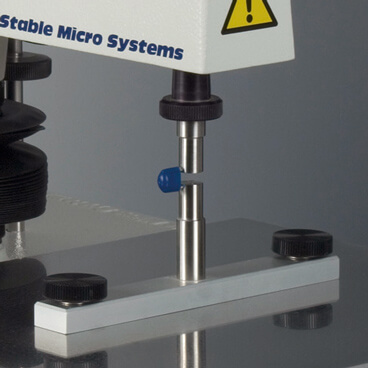 You can click on any image to go to our blog post giving detailed information on the attachment. 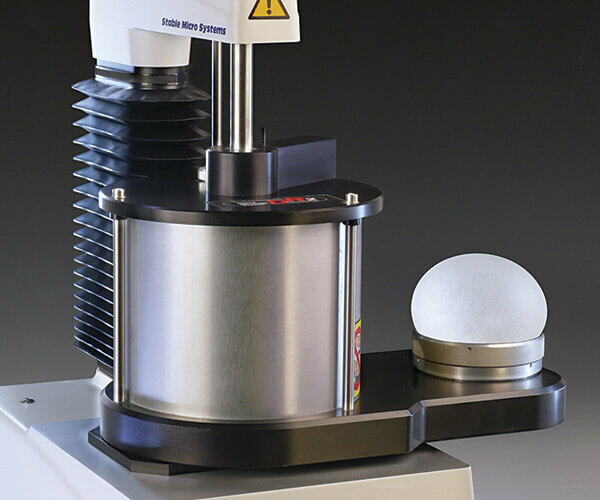 Items with codes prefixed 'HDP/' must be used with the HDP/90 Heavy Duty Platform. 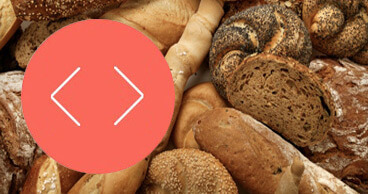 Items tagged * are Community Registered Designs.